As a qualified coach and EQ practitioner who has spent more than 25 years helping people develop their commercial life skills, I’m often asked what the secret to success is. 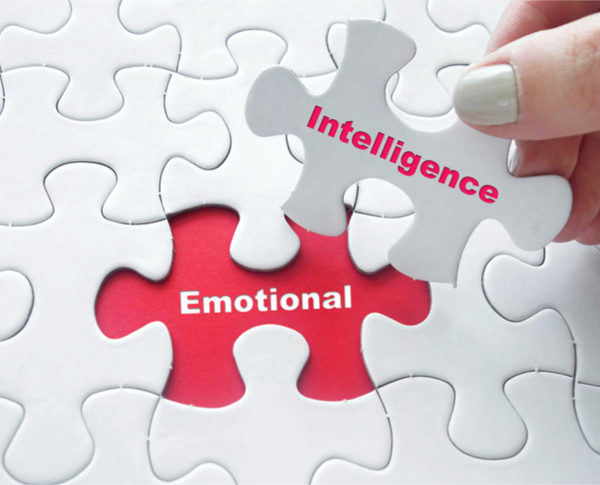 And without hesitation, I reply it is the ability to harness your emotional intelligence (EQ) – your capacity to recognise and manage your own emotions and those of others– that differentiates successful people from their peers. The great news is that your EQ, unlike your IQ, isn’t fixed – it can be developed over time. However, these so-called “soft skills” are often the hardest to master. So here are 5 steps to help you dial up your EQ so you can influence those around you and reap the rewards of greater success in life. Successful people believe that you can be good at anything if you practice. Given today’s rapid pace of change, it’s more important than ever to keep your skillset up-to-date to stay ahead of the game. Just as world-class athletes continually strive to achieve the extraordinary, so you need to invest in yourself and your personal development to keep raising the bar. So draw on your ambition – a key EQ skill – and keep challenging yourself to go the extra mile. Self-awareness is often described as the cornerstone of EQ. This is because self-improvement is almost impossible unless you have taken the time to work out what really makes you tick. So give yourself an honest appraisal – no holds barred. Try to be objective and identify your key skills and strengths. Then focus on any gaps in your skillset or areas for improvement. Be brave and face your fears – it’s only by looking in the mirror and seeing the real “you” that you can understand how you impact those around you and focus on your areas for development. Successful people have high levels of empathy and this allows them to find common ground and make a real connection with people. By listening attentively and being truly present in the moment, you will be able to get a clear understanding of how to motivate others and inspire action. Remember only 7% of what we communicate comes from our spoken words, so make sure you “read” the other person’s body language and tone of voice. This way you are more likely to build a strong relationship based on mutual trust and respect that delivers success for both parties. Steve Jobs once said, “The most powerful person in the world is the storyteller.” And with research showing that we are twenty-two times more like to remember a story than a fact, it’s not surprising that successful people harness the power of storytelling to engage other people and capture their attention. The secret to telling a convincing story is to communicate in an authentic way, rather than pretend to be something you’re not. So draw on your self-confidence, accept you’re not the finished article and walk the talk. Remember in life, people buy people, so by talking in a genuine way you are more likely to establish your credibility and integrity. Successful people are big believers that practice really does make perfect. According to the 10,000-hour rule, it takes 10,000 hours of deliberate practice to become world-class in any field so make sure you take the time to hone your new skills. Remember, you won’t become more successful overnight – it takes hard work and commitment to develop your EQ. A great way to fast-track your progress is to adopt the principle of plan do and review by setting yourself new learning goals on a weekly basis, and making sure you review your performance – this way you can constantly up your game. I hope that by following these 5 steps to harness your EQ you will unlock your confidence, build strong relationships and boost your performance so that you truly stand out from the crowd. Nicole Soames is CEO of Diadem Performance, a leading commercial skills training and coaching company, and author of The Influence Book and The Negotiation Book, both published by LID Publishing.